Since we live in Southern California (and at one point had an annual pass), we've visited Disneyland quite a bit. As a result, we've done our fair share of exploration when it comes to dining options on property. The foods we've liked the most have often been unique compared to standard "theme park" food or we've enjoyed how they've matched certain areas of the park. Some are also just delicious in their own right. We wanted to share these items with all of you especially since we know a lot of people will be heading to the park this year for the 60th Anniversary Diamond Celebration. Be sure to check out these menu items on your next trip to Disneyland! Full disclosure, Trader Sam's is probably our favorite spot to grab food & drinks while visiting Disneyland. We've tried just about everything on the menu and the Ahi Poke is our absolute favorite in terms of food. It's always fresh and delicious and is paired perfectly with the other ingredients on the plate which include avocado, yuzu, and wonton chips. We just wish it came with more! 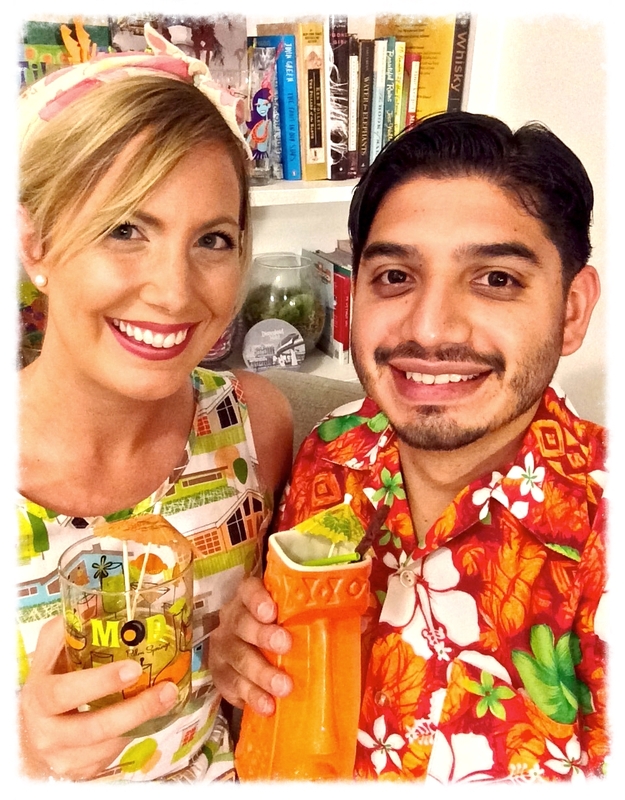 And because this is a tiki bar (and we clearly love our tiki drinks) we can't help but suggesting that you try the Uh Oa! while you're there too. We love that drink so much that we even (pretty successfully) tried to duplicate one of our own! Check out this spot or the neighboring Tangaroa Terrace for lunch, dinner, or late night snack while visiting the parks. Both offer some great island fare (and atmosphere)! 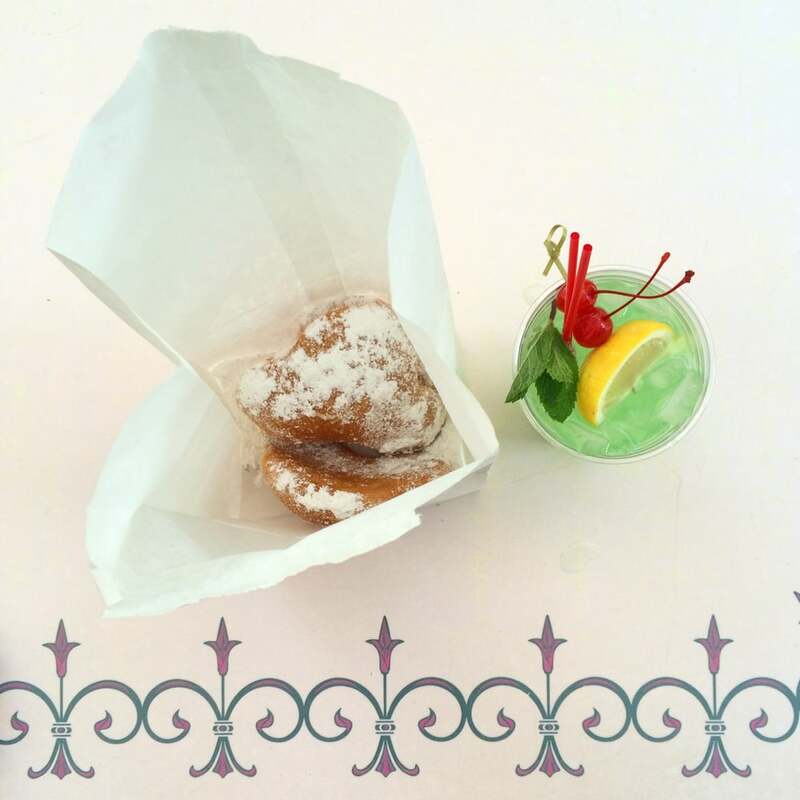 We can't help but grab some Mickey Beignets just about every time we're in New Orleans Square. It just makes us feel a little more like we're really in NOLA and I personally LOVE the (non-alcoholic) Mint Julep also served at the Mint Julep Bar. This spot is tucked out of view back near the Disneyland Railroad station and is definitely worth a stop for a quick afternoon pick-me-up. 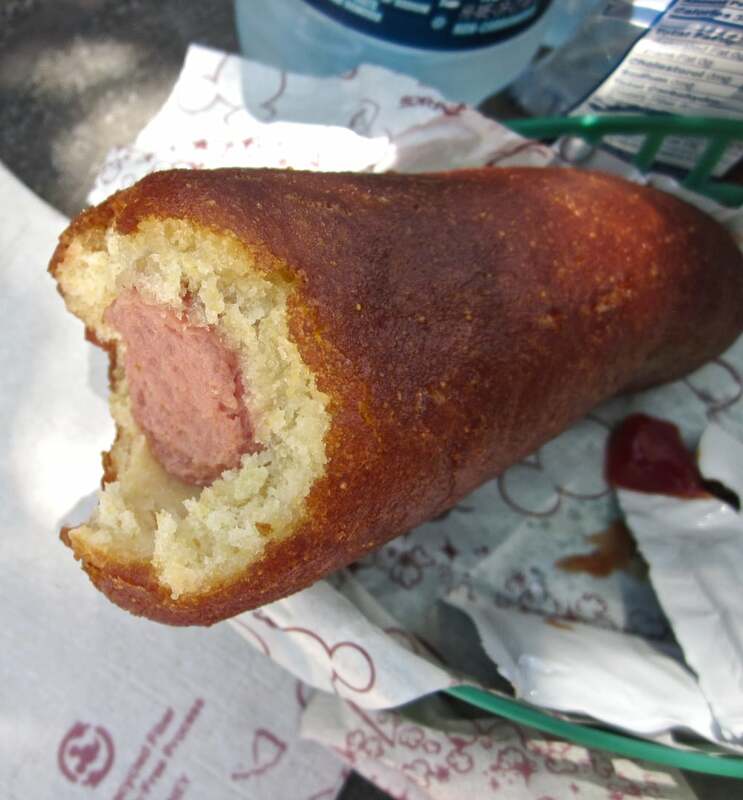 For anyone heading into Paradise Pier at California Adventure, we highly suggested making a stop at the Corn Dog Castle for a hearty snack or lunch. The Corn Dogs sold there are amazing especially since the batter on the outside is both substantial and delicious. One bit of advice though: these are pretty hefty so it's probably worth holding off on California Screamin' until you've fully digested your Corn Dog! For some of the best breakfast you can get at the Disneyland Resort, you need to check out Ralph Brennan's Jazz Kitchen. 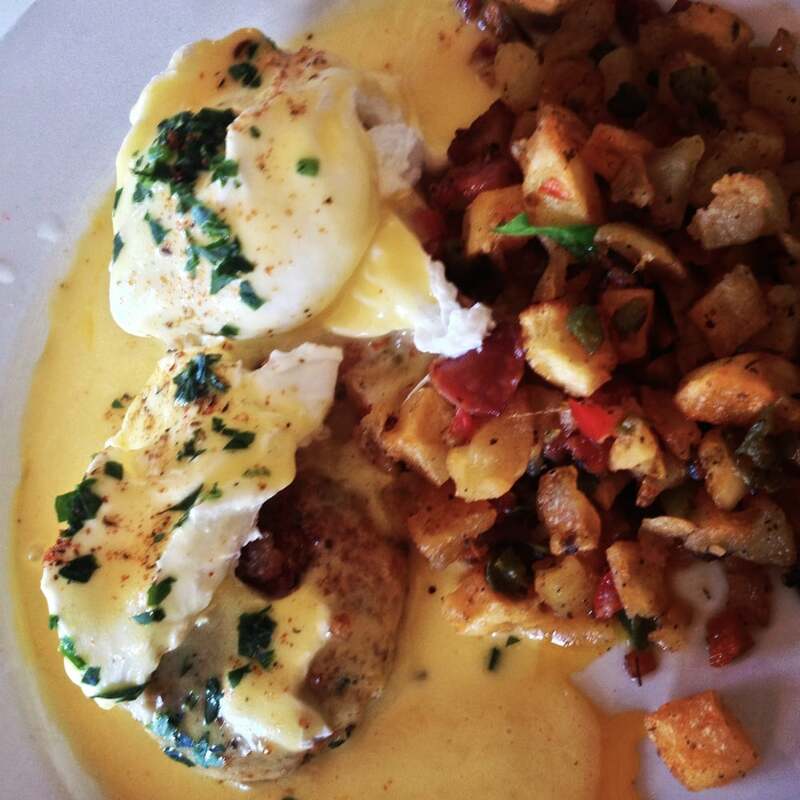 New Orleans is known for some killer Eggs Benedict and the Crab Cakes & Eggs here don't disappoint! The combination of seafood, eggs, and hollandaise is great. Stop by to fuel up before a long day at the park and you won't regret feasting on this delight! Dole Whip is a cult classic and there's a good reason why! It's the perfect refreshing pineapple soft serve treat best eaten on your way into Adventureland or to accompany you on a visit to the stand's adjacent attraction, the Enchanted Tiki Room. The line at the Tiki Juice Bar can get long so try to pick up your Dole Whip early in the day. You can get it on its own in a cup or in a pineapple juice float. In case anyone out there is lactose intolerant, we're happy to let you know that Dole Whip is dairy free! Also, if any of you are planning to visit Disney World anytime soon, be sure to try the Dole Whip swirled with vanilla at Polynesian's Aloha Isle - it's even better! We love just about everything about the Jolly Holiday Bakery Cafe since it has a great theme as well as consistently good food. Our favorite thing on the menu, mostly for novelty's sake, is the Matterhorn Macaroon. It's cute, tasty, and fun to eat with the Matterhorn visible in the distance - perfect for the coconut lover. Also worth checking out while you're there: the quiche (if it's available on the menu) and the other amazing ldesserts! The Monte Cristo Sandwich at Cafe Orleans is another one not to be missed. This sandwich is big and sweet and savory. 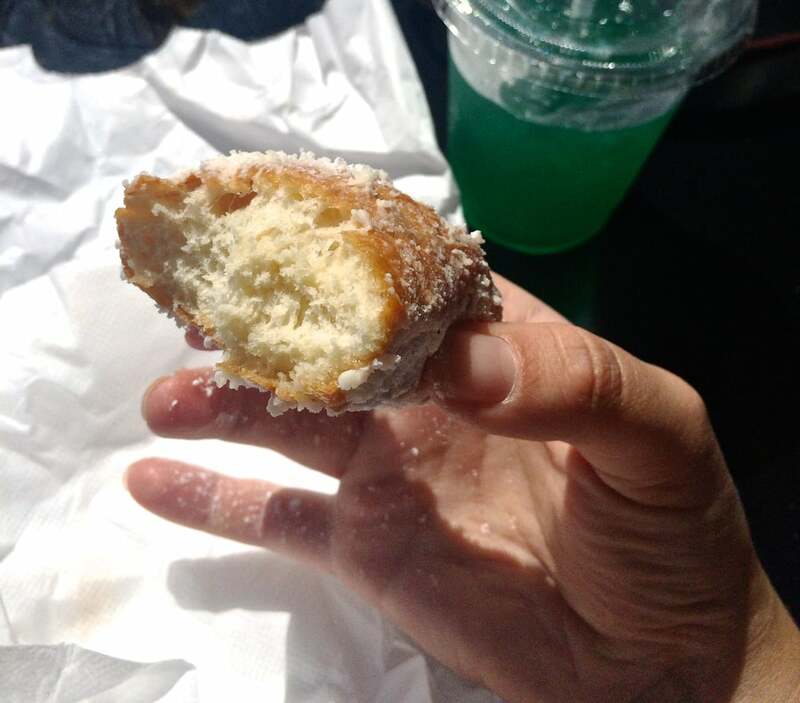 And since it's encased in fried doughy goodness, it's also unlike any other sandwich you'll get in the park! This restaurant offers a lot of other great menu items as well including Pommes Frites tossed with parmesan and garlic and some delicious crepe entrees and desserts. It's also situated on a beautiful veranda that overlooks New Orleans Square with views of Tom Sawyer's Island. While the ambiance might not be as cool as Blue Bayou, the food certainly gives the pricier restaurant a run for its money. Napa Rose has a menu that's constantly changing depending on what's in season but I was able to try these scallops recently and they were amazing! They were super fresh and came in a delicious, savory lobster sauce. Overall, this restaurant has lots to offer in terms of top-notch, California-inspired cuisine but this menu item has certainly been my favorite so far. Also worth noting - a really fun way to dine here is by trying the chef's tasting menu with wine pairings. And be sure to save room for dessert! Rancho del Zocalo - Take Your Pick! Rancho del Zocalo is one of those dining locations at Disneyland that offers a triple threat: unique food (delicious Mexican dishes), a quiet respite with ample seating, and large portions well worth the price. 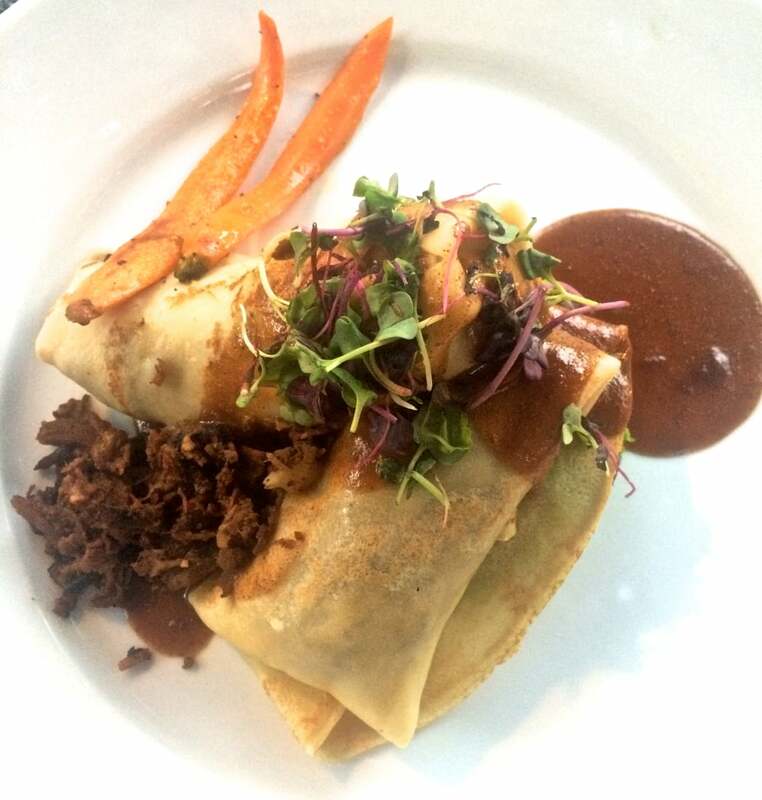 For all of these reasons we love eating there. We don't have one dish that we would say is our favorite but we highly suggest checking it out next time you're in Frontierland! While the Lobster Nachos are probably the most popular menu item at the Cove Bar in California Adventure, our favorite dish has been the Tri-Tip Sliders. This plate comes with three sliders, each with different toppings, and they're all great. Overall, the Cove Bar is just a great spot to check out for the food, the drinks, and a great view of all of the attractions at Paradise Pier. 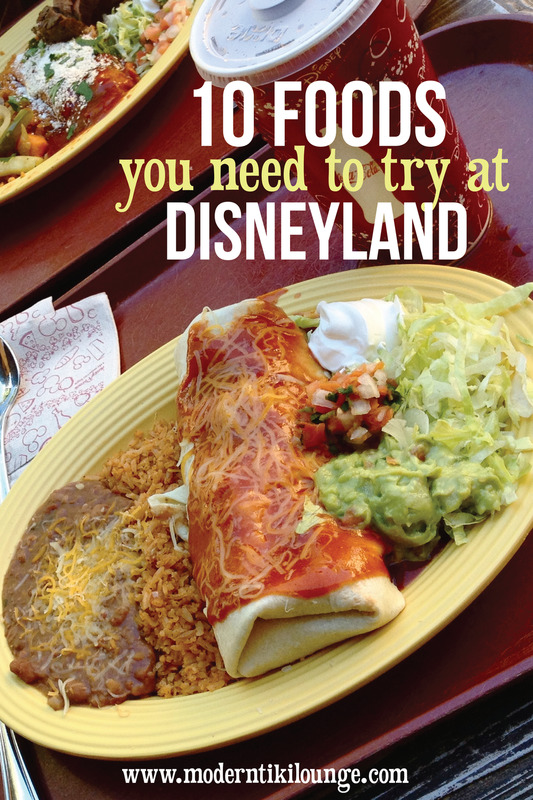 To be honest, there are SO many other foods we also love at Disneyland that we didn't include in this list either because they're not our absolute favorites or because we just didn't have pictures! Some of these include: lots of the menu options at Carthay Circle, Red's Apple Freeze at the Cozy Cone Motel, many of the items on the Steakhouse 55 menu like the Filet Mignon and the Truffled Macaroni & Cheese, Soup in Sourdough Bread Bowls at the Royal Street Veranda, the Roast Beef & Cheddar Sandwich at Flo's V8 Cafe, the Holiday Turkey Sandwich at Earl of Sandwich, Popcorn (from any popcorn cart in the parks), and just about anything served at Tangaroa Terrace or Trader Sam's. What do you think? Did we miss any big ones? Let us know and we'll be sure to check them out on our next visit (if we haven't already)!